Meeting former journalist, screen-writer turned bestselling crime-writer Peter May, has become an annual highlight to start the year for the Shots Magazine Editors. Joining the Shots Editors were several journalists including the ubiquitous Barry Forshaw, Jake Kerridge from The Telegraph, Jon Coates of The Express and of course the team from rriverun and Quercus. So what has Peter in store for his readers in 2017 with CAST IRON? In 1989, a killer dumped the body of twenty-year-old Lucie Martin into a picturesque lake in the West of France. Fourteen years later, during a summer heat wave, a drought exposed her remains - bleached bones amid the scorched mud and slime. …........this was a seriously competent crime novel, with more twists and turns than the average anaconda. 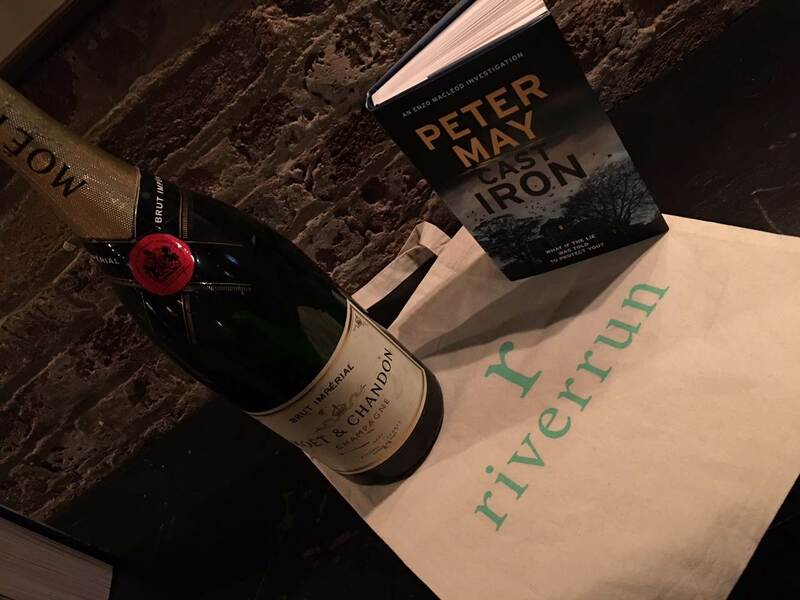 Peter May’s writing is … well, I’ll admit to a certain professional jealousy here. He writes with a precision and clarity that is all too rare nowadays. It is fluid, brilliant and entrancing. There’s an almost poetic quality to his sentences which I found just brilliant. So, in short, would I recommend this book? Yes, and more, I am going to get a hold of his previous titles in the series too. It is clear that this book does not deserve to be read on its own. As an individual piece of work, it is very good. However, it leaves me feeling that I had read one of the later Harry Potter books without knowing the story of the main characters before. There is much that I look forward to learning of Enzo’s background. I would rate this as a highly recommended novel. CAST IRON is the 6th and Final Book in Enzo Files Series, and for those who only know Peter for his award-winning Black House [the Lewis Trilogy], or Entry island - you are in for a treat, as Quercus / riverrrun have released the Enzo Files backlist in Paperback. 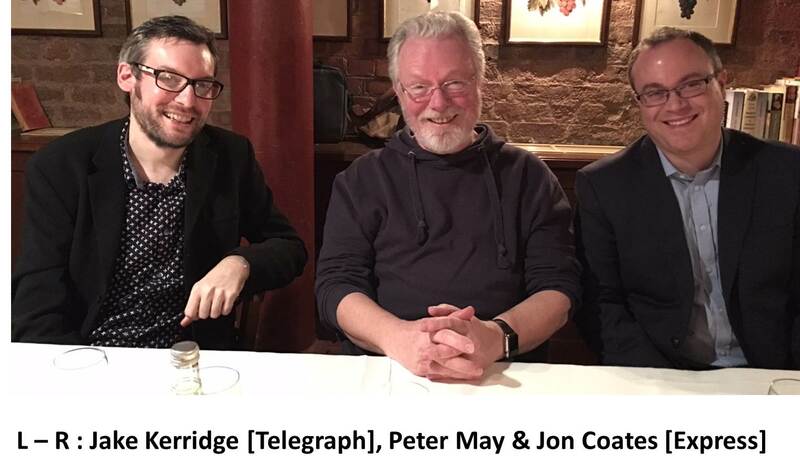 And then Peter spoke in his self-deprecating manner, and you can see the genuine warm relationship between author and publisher as well as how many of us got past the first page of Joyce’s Finnegan’s Wake. 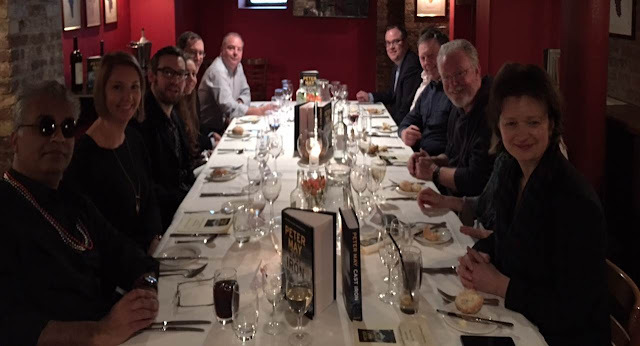 We present a few photographs of the lunch with Peter May. 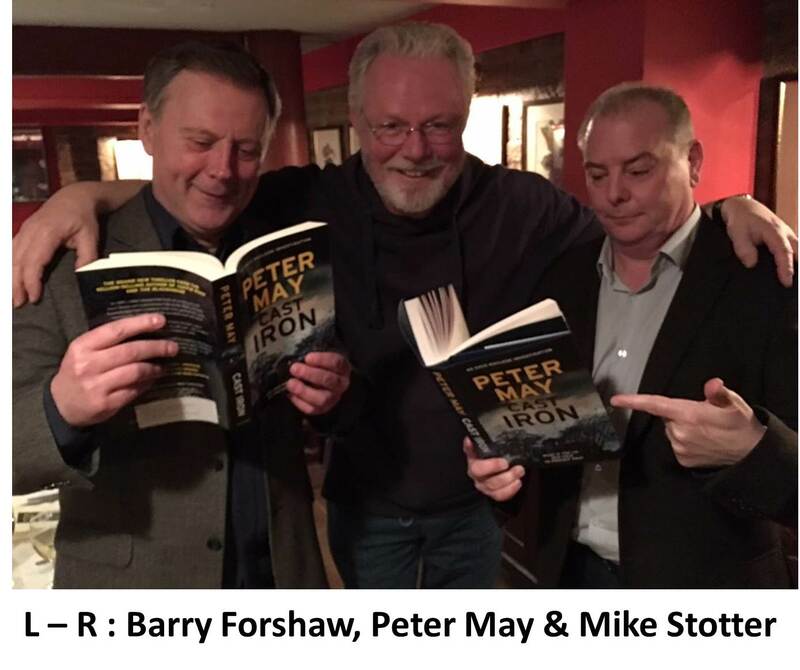 Another remember, Peter continues his talks as he tours promoting CAST IRON, so if you wish to get a signed copy, see his itinerary below. Always check with his web-page HERE in case of any changes, and remember to book ahead to ensure you get a seat, as Peter’s talks are always full houses as he is an extraordinary raconteur, and is as amusing as he is insightful. In fact, apart from being an extraordinary writer of crime-fiction, he’s a top bloke. 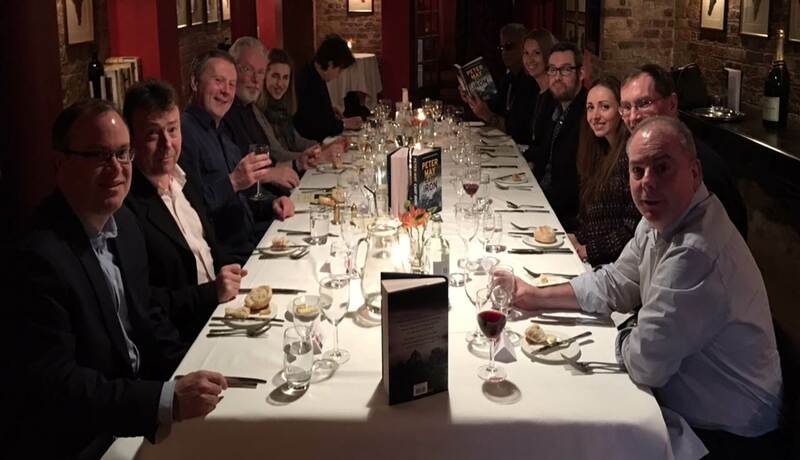 Shots Magazine would like to thank Sophie Ransom, Jon Riley and the riverrun and Quercus Publishing teams for an excellent lunch; and or course Peter May, for the wonderful, insightful read that is CAST IRON.